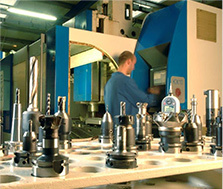 ADOP France : Injection blow molds…and more! 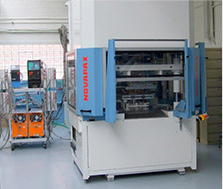 ADOP France is THE internationally renowned IBM mold maker and project solution provider for injection blow molding (IBM), extrusion blow molding (EBM), injection stretch blow molding (ISBM), stretchable PVC film extrusion dies and stretch blow molding (SBM). 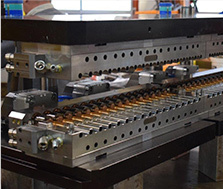 Since 1971 we have been tightly collaborating with our customers and partners to provide blow mold solutions for the Cosmetic, Pharmaceutical, Fast Moving Consumer Goods (FMCG) and Food Industries. 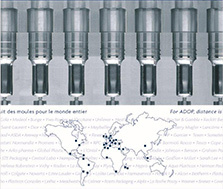 *ADOP France is exporting more than 40% of our activity worldwide! Synergy adop france & meccanoplastica!